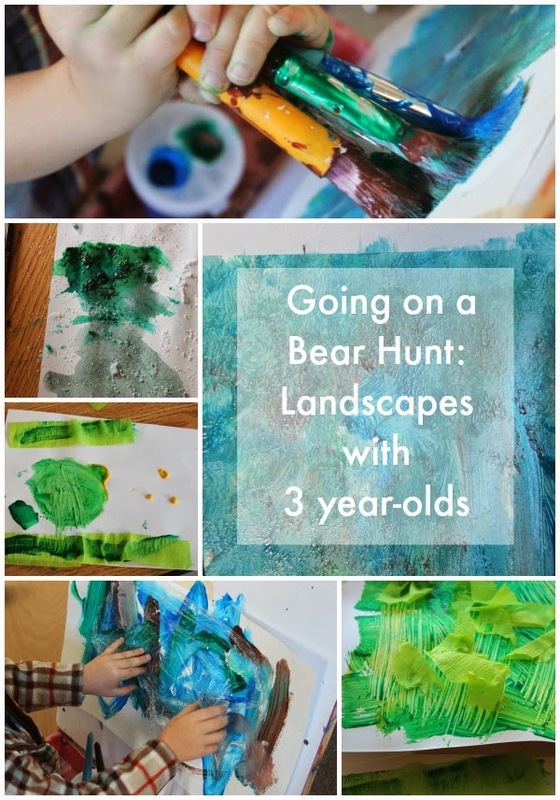 For our week of We're Going on a bear Hunt, the plan was to create a landscape for each element in our story. 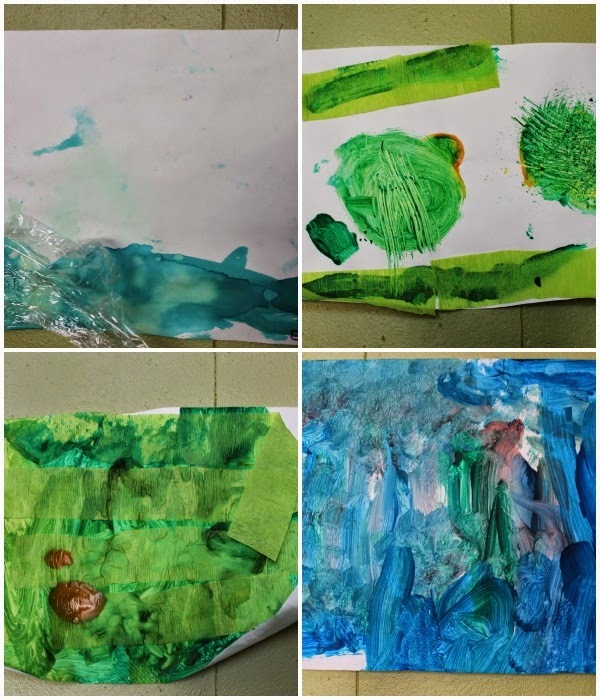 But we all know how sometimes things do not always go the way planned so we only got to two landscapes but really it was because the children had so much fun with the paint and supplies. We did tackle mud and snow through our sensory bins using potting soil from our yard, and insta-snow in the classroom. For the record, I am not a fan of the insta-snow, it's a sensory thing for me....ack! Here a small selection of what the children created. Some were painted up on our easel, some at our art center, some a little of both. The green landscapes were made with paint and crepe party streamers. I had put the paint out in small cups with a variety of paintbrushes (some too large for the cups!) to see what the children would do. The blue landscapes all have the added element of epsom salts, clear glitter, and plastic wrap. Some of the landscapes were painted with our tempera paint while others were painted with our liquid watercolors.